THERE are few things that make me completely reconsider my beliefs, values and most importantly my actions. But this week I had one of those moments that makes you stop in your tracks. We've all had the importance of recycling drummed into us from a young age yet these positive words of encouragement are very rarely put into practice. In fact, when I think back to my time at school, recycling was even then very rarely implemented. This week I chatted to two sisters who really changed my outlook on what we're doing and ultimately how much more we could be doing. I'm by no means some crazy green-thumb, but what these women are doing should not be considered extreme. Actually - it's pretty damn admirable. In reality, most of us (including me) have this lazy attitude cemented in us. We've seemingly drawn this conclusion that we're far too busy with our own commitments to ever have time to focus on something else. The Circular Experiment is aiming to change this one business at a time. 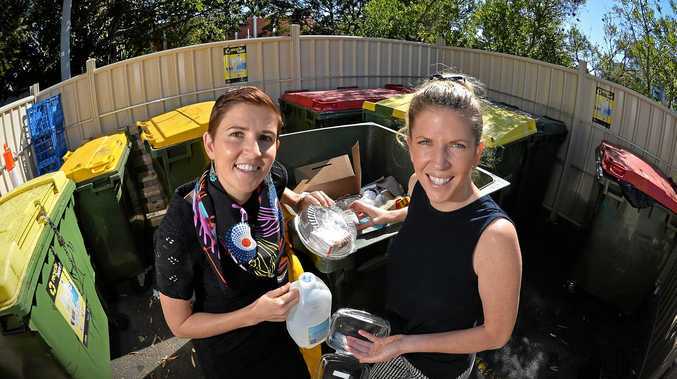 It's the initiative formed by two Coast women with the goal of helping businesses to implement a "circular economy" approach. The approach encourages the rejuvenation of products that have no use anymore and helping businesses get their act together when it comes to their recycling. It's just so simple yet something we rarely think twice about and I for one am so guilty of just not caring. Guilty of heading away for a weekend only to return to a heap of food waste. Guilty of not making the effort to actually consider whether an item I have no use for anymore may be of use to someone else. And I have no doubt most of us are all pretty guilty. Our lives are a constant whirlwind, there's no doubt about that but taking the time to reflect on our actions should he held far higher on our list of things to do.